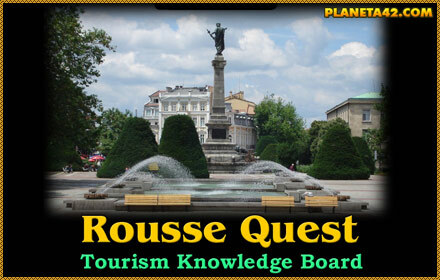 Visit some famous Ruse town monuments. 5x8 pieces puzzle of the Porcelain Tower of Nanjing. 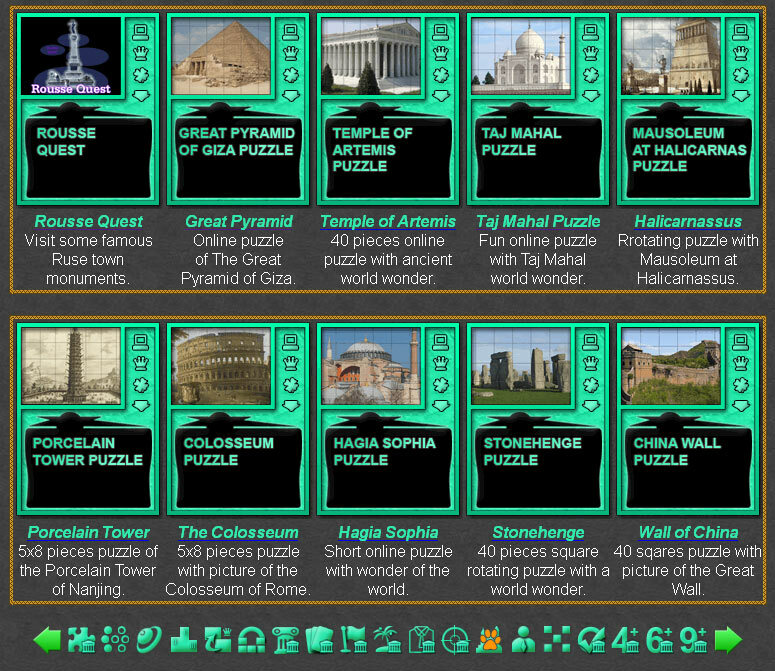 Fun online tourism games collection. 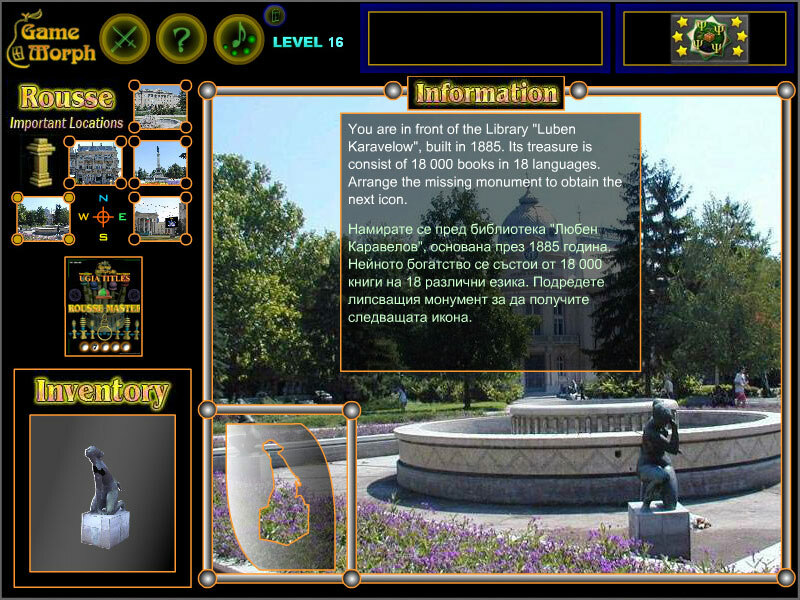 Games and puzzles about tourist places, virtual travelling and constructions of interes. Travel and tourism quizzes. Tourism classroom activities. Online tourism games. Fun Tourist Games Collection. 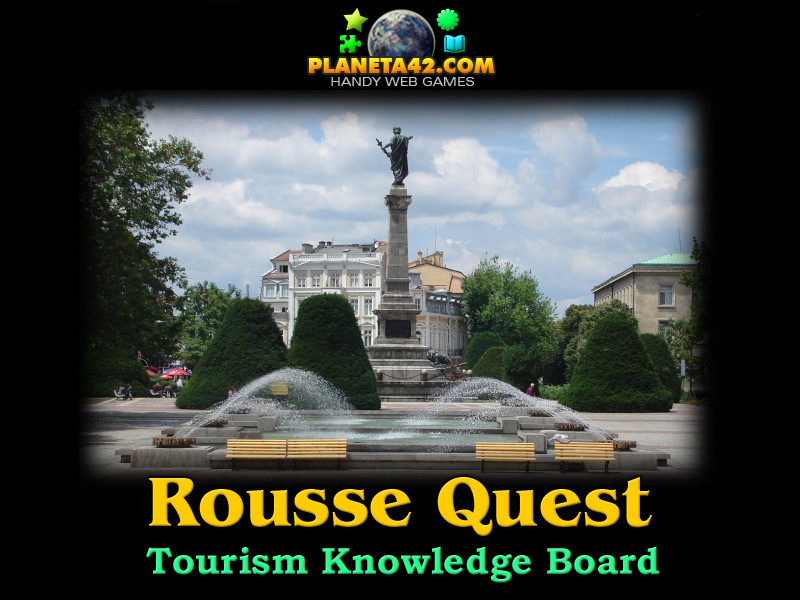 Rousse Quest - Solve the mystery in a quiet and remote European town.